Rihan Hanna Ayoub is one of five Christian Members of Parliament (out of 329) elected in this year’s election. A lawyer by profession, she was born and raised in Iraqi Kurdistan where she attended a local parish as a child. Faith, for her, is a "resource and strength in life and work". Christians have a crucial role in the country’s reconstruction. Baghdad (AsiaNews) – Christians can play a "very important" role in Iraq’s reconstruction because "they are not a party" to the conflict that is causing bloodshed in the country. Instead, they can take on "proposals, activities and meetings" thanks to solid "international relations,” said Rihan Hanna Ayoub, a 34-year-old Christian member of the Iraqi parliament who spoke to AsiaNews. Elected in Kirkuk (northern Iraq), she is one of five Christian Members of Parliament (out of 329). For her Christians can mediate between Erbil and Baghdad, the government and the parties. Born and raised in Zakho, Iraqi Kurdistan, she obtained a Law degree from the University of Dohuk in 2006. Starting the following year until her election, she practised in various legal fields. From a young age she lived her Christian faith and collaborated in the activities of the parish of St George in Zakho as a member of the choir, deacon and lawyer. The priorities of her future parliamentary work include the return of the Christians who fled the Islamic State group, laws that protect minority lands, assets and properties, and a Ministry for Minorities. What are the priorities of Christian lawmakers in the country’s political and institutional context? asking the Prime Minister to appoint a Minorities Minister to monitor their situation and accommodate their needs. What kind of role can Christians play in today’s Iraq? Christians can play a very important role in Iraq because they are not part of the national conflict. They can enjoy the confidence and love of most leaders and political parties. 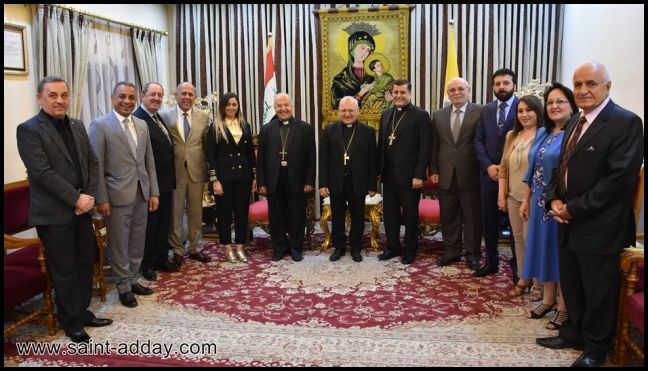 Today, Christians can play an important role in building Iraq, despite their small representation in parliament through proposals, activities and meetings with Iraq’s decision-makers. 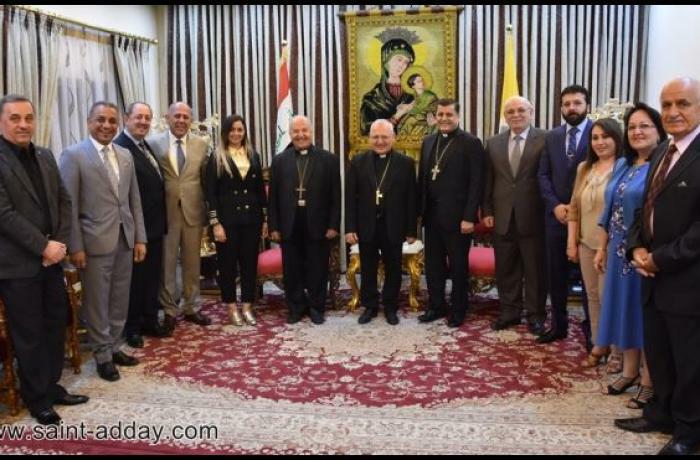 Iraqi politicians know that Christians have international relations that can influence and pressure political leaders in Iraq. Christians can bring together Iraqi parties, Erbil and Baghdad or the other parts of the government. Patriarch Sako often insists on the principles of unity and citizenship as a basis for rebuilding the country. Which are the key elements that can give hope and a future to Iraq? As for Patriarch Sako and his insistence on unity and citizenship, I am a supporter of him because it is important to keep Iraq united. And also because Christians are the original people of Iraq. Christians have contributed to Iraq’s past and present. They are in support of keeping Iraq united. Among other factors, religious leaders in Iraq emphasise concepts to prevent the division of Iraq. Which role can Iraq play in the today’s conflicts and crises in the Middle East? Can it contribute to easing tensions and problems? If so, how? As for the role that Iraq can play in crises, it has a big and important role that comes from its geographical location and distinctive relations with neighbouring countries because of related people that these countries share and also because of the economic and security interests we share with our neighbouring countries. At a personal level, what are your expectations and goals as a lawmaker? My personal experience in Parliament is new. My experience as a lawyer is the defence of the rights of all Iraqis as well as the protection of the privacy of minorities and Christians. I want to work with the rest of parliament to pass laws and make decisions that meet people's aspirations and needs. I want to fulfil the demands of voters and residents in Kirkuk and Nineveh who have chosen me. I will focus on the return of displaced Christians because of the recent occupation of the region by the Islamic State group. I also support sports activities, especially for women, and peace in our cities and Iraq in general. Setting up for the first time a Ministry of Minority Affairs is a major goal. Regarding the situation of the Christians in Nineveh, they are determined not to leave their areas although they are deprived of services, jobs and security. They need a sense of confidence that peace in those areas will remain stable and secure. They want enhanced security through the creation of a protection force in Christian areas. The permanent solution is to secure the borders of their areas from any breach or attack such as those that occurred previously. They want to preserve employment opportunities and establish investment projects for them. How is the situation of Christians in the Nineveh Plans? As for the reconstruction of their areas, this is possible if it is planned in a professional and technical manner in coordination with local and central government and the establishment of workshops and conferences after identifying projects and services needed. Christians also want help from the international community to rebuild destroyed cities. Last question. How important is your Christian faith in your political/public activity? My Christian faith is reflected positively on my professional life. It gives me strength, perseverance and determination to uphold the values of tolerance and cooperation with others so as to meet the aspirations of Iraqis, Christians included. I enjoy the love and respect of all Iraqis when dealing with them because of my respect for their feelings and beliefs and my personal culture. My self-confidence and patience help me when dealing with people’s issues.